Please do NOT go to my main webpage--bethrevis.com--as it appears to have been hacked. It redirects to unsavory sites or has a scam pop-up. I'm working on this and will let you know as soon as the site itself is fixed. Edit: This doesn't seem to affect any page but the main one (bethrevis.com)--i.e., not this blog, not the other pages in the website. But if you do have any trouble, please let me know ASAP. As many of you know, I'm a member of the debut novelist group The Elevensies. But we're no longer in the year 2011...and we're no longer debuts. Surely we've learned something in that time. I recently asked the group to list out the top three things they've learned in their debut years. If you're currently a debut--or if you want to be a debut one day--I hope these mini-lists of advice help you out! 1. It's not the kind of swag you get, but how you use it. 3. Sometimes it's easier to rewrite the book than revise it. 1. Don't be stressed, you're doing this because you love to write. 3. Keep writing the stories you want to tell. 1. The revisions you do before the sale are only the beginning. 2. Promoting is just another phase of the writing process - embrace it! 3. Always write the book that challenges you. 1. The Internet is not God. 2. I can't control what people say about my book, what marketing it does or doesn't get, or gravity, but I CAN control my reactions to everything. 3. Save all your receipts. ALL OF THEM. 1. Dedicate a BIG chunk of your advance for promo (more than you think you'll need). 2. There will be disappointments--sometimes big ones; have tissues and a shoulder to cry on handy. 3. Always be working on something new! 1. Invest in a good office chair. You'll be spending a lot of time in it. 2. Don't get caught up in marketing. No one really knows what works. 1. Editors are slow but wonderful. 2. Try not to obsess over things beyond your control. 3. When you do obsess over things beyond your control, have chocolate handy. 1. Write for the love of the story only you can tell. 2. 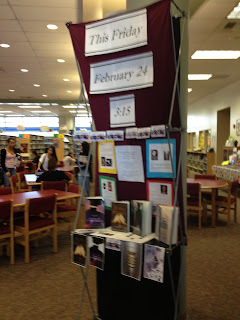 Embrace book bloggers - they are AWESOME. 3. Believe in yourself. Never waver. If you want it bad enough - you can find a way to make it happen. 1. Patience! The waiting. Never. Ends. 2. Write your next book while you're waiting. 3. Did I mention the waiting? 1. Thou shalt not stress about things over which you have no control, be it cover art, marketing, sales numbers, promo, the migration of editors and agents, or other mysteries of the publishing universe. 2. Meet lots of people, online and in-person, and keep in touch! These wonderful human beings are your lifelines to sanity. 3. Write the next book that inspires you. 3. Worrying about all the stuff you *can't* control will drive you nuts. Instead, focus on what you *can* control--writing a really good book! 1. There is nothing more valuable than a honest critique partner who gets your writing. 3. Find some awesome writerly friends who will hug you when you need it. 1. 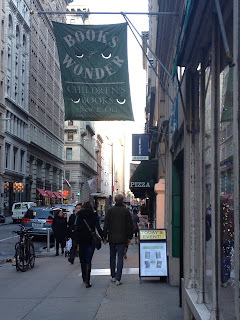 Librarians, teachers and children's booksellers--in addition to being the best people in the world--are largely responsible for getting your book into the hands of kids. Treat them accordingly. 2. Learn to enjoy the public speaking that goes along with book promotion. 3. Your (possibly lifelong) goal of being a published author has been accomplished. Congrats! Now it's time to set new writing goals. 1. It's never too early to start the next book, series or no series. 2. Spend more time writing than promoting. 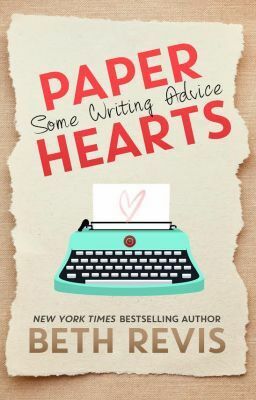 So I was talking recently with my friend Elana Johnson (her book, btw, is totally on sale now, you should buy it) about how writing can be an art. I say "can be" because I'm not sure it's always an art--although that's a debate for a different day. But our conversation really got me thinking--about words, about art in general, and about how we are influenced by the things we like. I wonder: does the art that you like influence the way you express your own art? I suppose you could look at artistic movements like genres of written works. My favorite genre is YA, my favorite artistic movement is Pre-Raphaelite. I don't really appreciate adult literary titles, but then again, Dadaism is lost on me. While I can look at a piece of Dadaist art and recognize that (a) it is art and (b) it has value, it has no emotional resonance within me. That said, I don't think it's really as simple as that. Because even within my own beloved YA genre, there are different styles. And so I think it comes down to this: we are each of us an artist, and our art is reflective of the things we like within art, not necessarily the artistic style. Beautiful execution. The paintings are vivid and realistic and beautiful to look at. Some art is meant to disturb; this art is meant to be beautiful (although there is disturbing themes--the painting of Ophelia to the left is supposed to show her at the moment of her death). Fantastic subjects. I mean fantastic in the literal sense--the settings and subjects of the paintings are often derived from mythology or Shakespearean lore. Attention to detail. 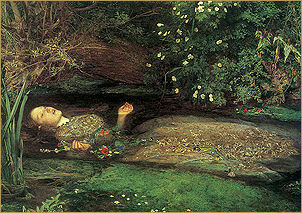 In the painting of Ophelia, even the selection of flowers held in her hands hold symbolic meaning. 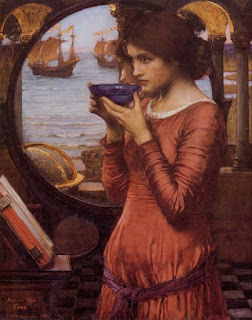 I cannot name a single Pre-Raphaelite painting that doesn't include significant symbolism in the images. Beautiful execution. I say this all the time, but Carrie Ryan's THE FOREST OF HANDS AND TEETH changed the way I looked at YA books specifically because they were so beautifully written. Yes, they're about zombies. But they're beautiful. Fantastic subjects. I like my books to have fantasy or sci fi in them. I want the impossible to happen. I don't need to hold onto realism--I want magic and stars. Attention to detail. One of my very favorite literary devices is foreshadow. I want a complicated story, yes, but I want the end to surprise me. Foreshadow is the key to this. Show me all the clues in the story, and then show me how they solve the plot. Think of JK Rowling--you see polyjuice potion in Book 2, but then the plot of Book 4 hinges on it. That is brilliant. That is the detail that wins the books. If a piece of art can be beautiful--yet thought-provoking--dealing with a subject matter that's not mundane while also showing a high level of detail that casts significance on even the smallest part of the painting--then I will love that painting. 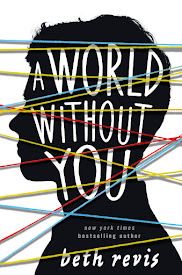 If a book can sling around beautiful words and phrases--and yet have a deeper meaning to the text--while also taking place in a fantasy or sci fi world and using a high level of detail (such as through foreshadowing)--then I will love that book. 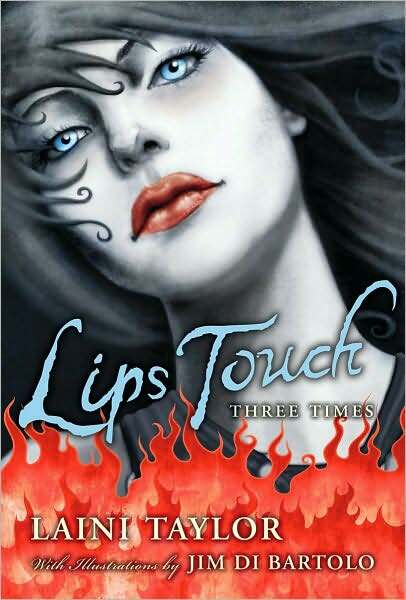 This is, perhaps, one of the reasons why I loved Laini Taylor's LIPS TOUCH: THREE TIMES (the fact that the first story is based on a poem by a Pre-Raphaelite artist notwithstanding). 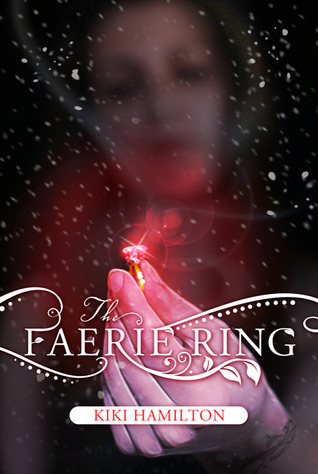 It combines significant beautiful art (by the equally brilliant Jim DiBartolo) with beautiful words to create a complete story that incorporates all the ingredients to a book I love: beauty, fantasy, and depth. I find this kind of comparison between visual art and literature fascinating. Would someone who prefers Dadaism, for example, also like the same books that I like? And if so--would that person like those books for very different reasons from the reasons why I like them? In the end, there is no wrong way to look at art--or books--and there's no wrong reason for liking or disliking any artistic book. The very things I love about Pre-Raphaeliteism are also often a source of criticism. I love the readily apparent symbolism; critics say it is too heavy-handed. I love the beauty; critics say the art does not lie in the beauty. Likewise, some of my favorite books are criticized for the very things I love about them. My favorite childhood book is The Chronicles of Narnia by CS Lewis because they were the first books that I read and realized that there was such a thing as symbolism and that a story could go far deeper than just the words on the page. This is probably the very thing that makes these books reviled by some--too evident symbolism. I'd love to know your thoughts on this subject. 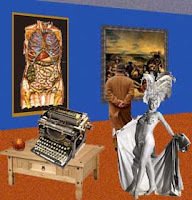 What art do you like, and does your artistic taste reflect your literary taste? What qualities in art--visual or literary--do you appreciate the most? 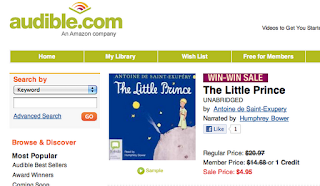 Audible currently has a sale going on where a lot of popular titles are only about $5. As I scrolled through, I realized that there were several books I wanted, and ended up purchasing four (after spending my credit on READY PLAYER ONE, at Marie Lu and Andrea Cremer's suggestion, and it is AMAZING). 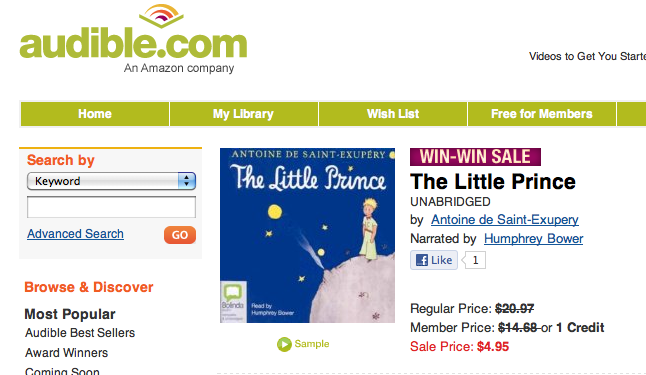 And then I came to THE LITTLE PRINCE. I actually quite love this title--it's a beautiful book, with beautiful illustrations (and readers of A MILLION SUNS will know that I like this book so much that I made it a part of that book, too). But it's not one of the books I bought. Despite the fact that it was $5, I just did not care to own it in audiobook format. This got me thinking: I actually have some big preferences on how I consume books. This has only happened recently--about a year after owning an ereader and subscribing to audible. I've developed a hierarchy of what format I want books in. 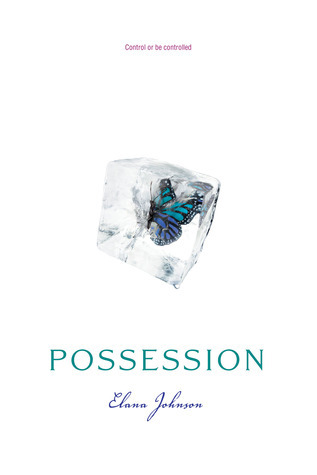 If it's a book with a particularly beautiful cover, a book that I know I will want to read over and over again, a book by a friend, or a book I could get signed, I want the hardback. If it's a very long book (GAME OF THRONES, I'm looking at you), a book that I consider a "throw-away" read (such as a trashy romance novel), or a book that I already love and know I want to read again easily (i.e. on the road), I will buy an ebook. In some cases, I will buy an ebook of a book I already own, just for the portability. In my house, we have all of George RR Martin's books in both formats--my husband likes the paperbacks, my hand doesn't want to break under the weight and prefers the ebook. 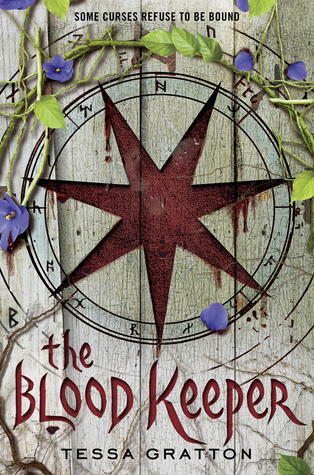 I also have signed hardbacks I don't want to damage, so I have the ebook, too. If it's a book I'm only so-so excited about, but feel I should read anyway, I will get it in audiobook. There are a few titles that it feels as if EVERYONE has read, but I just can't get through--so I get it in audiobook. I listen to audiobooks while on a long road trip or while cleaning the house, which means that I somehow get over the issues that I have trouble with in the print books. These are books that seem to have a slow start, or perhaps a premise that I'm not over the moon about. I've found so many new books this way--audiobooks somehow make me get over my presumption of books that I have trouble with. I also like audiobooks when there's a great narrator--I read Harry Potter in Jim Dale's voice now, and Wil Wheaton is definitely the voice for READY PLAYER ONE. And sometimes it's just nice to put on a well-loved story and listen away. In short, my point is this: there's a lot of debate over ebooks or no ebooks, and formatting and everything else. But for me, there's no argument. I like all the formats for different books, and I'm just happy that I get to live in a world where they're all available. What about you? What formats do you prefer...and why? This universe, this world, this life: it's all pretty astounding. There is, quite literally, a star within you. Let it shine. There's an online campaign to make Kony famous. The video is amazing and is definitely worth a watch. And speaking of important things: you should read this post by Ello about beauty, and what it is (and isn't) and how we need to change the face of books (literally). THIS THURSDAY: Don't miss a chat online with me hosted by the wonderful Mundie Moms! 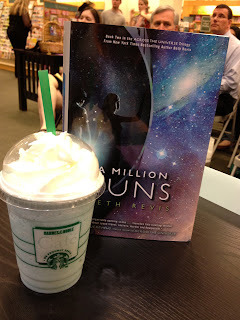 We'll be talking about A MILLION SUNS, ACROSS THE UNIVERSE, writing, and more, so please drop by and chat! Spoilers ahoy! Coming in April--the YA Scavenger Hunt! Now with a shiny new website! But we need you help--please vote for how you'd like to see the hunt develop. Thanks to Jennifer White for letting me know about this website that allows you to make your own (beautiful) nebula! Seriously, have you heard this song yet?! Blown. Away. AFTER, an anthology edited by Ellen Datlow and Terri Windling, is now up on GoodReads. My story is about the Eldest System, and one Elder's decision to continue it or not. It's a very open-ended story...the Elder could be Orion, or it could be the Eldest you meet in ACROSS THE UNIVERSE. DEFY THE DARK, an anthology edited by Saundra Mitchell, has it's own website online here. 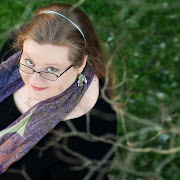 If you're a writer, you definitely want to keep an eye out on this website--there will soon be a contest for one unpublished writer to win the last spot in the anthology. 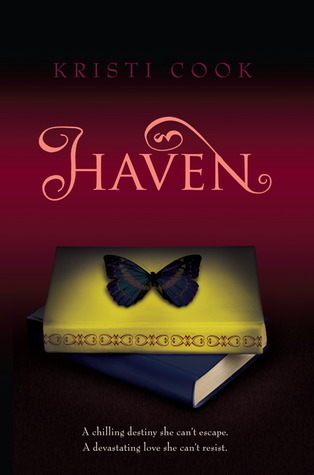 My story in this anthology is about Kayleigh and Harley, and tells a secret that's only hinted at in A MILLION SUNS. You can read the first few lines here. Whew! You know what time it is? It's time for a picture post! I'm still gobsmacked at how awesome the Breathless Tour was this year, and I can't wait to share some pics with everyone. Also, if you're in the picture-looking mood, I just did a massive update to Facebook as well, including pictures from the launch a year ago, the first Breathless Tour, the most elaborate cake I've ever seen, and more. Now--without further ado!--a photo essay of Breathless Reads 2012! 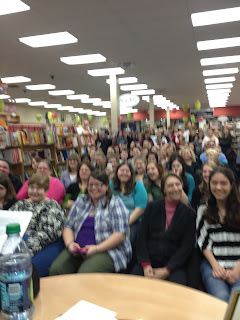 The crowd in Naperville, near Chicago, at Anderson's Bookstore. In Washington, DC, we were interviewed by Sirius XM radio for the BookTalk station. In NYC, our hotel looked like a spaceship. There were portholes for windows, the curtains were silver, and everything was high tech. Books of Wonder in NYC. I seriously get a little thrill every time I come here. The audience at Books of Wonder! We were truly blessed on this tour--every single stop was standing room only, and we sold out of books at some events! Our fans = THE BEST. 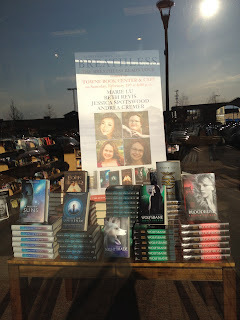 The window display at Collegeville, in the Towne Center Bookshop. At Blue Willow Books in Houston, TX, we got to sign the wall! one for each of my space books. The crowd at Blue Willow! This is Michaela. She did another entry for the Creative Contest. Her artwork is a koi fish in a sea of stars (*sigh* Such lovely imagery!) and she created it with a method called stippling--making the picture one tiny dot at a time! I was blown away by this artwork when I saw in online, but in person it was EVEN MORE AMAZING. In Dallas, TX, the Barnes and Noble hosting us creating amazing custom drinks for each person. Mine is a Cryogenically Blue Frozen Frap and it was so good that I had TWO. See! 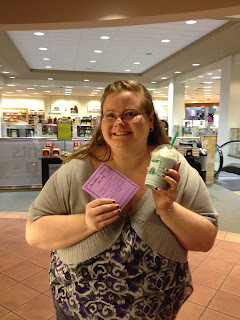 Here I am posing with the menu of custom drinks. The whole time on tour, Andrea was working on her next book. Here she is, typing up the name of a character that Jessica, Marie, and I helped to name after a brief brainstorming session! I call dibs on being the writing-godmother! For the first time this year, we did school visits. This is one of the displays in California, but honestly? Every single school was wonderful. It was amazing to see and talk to kids who are avid readers and eager to learn more about writing. 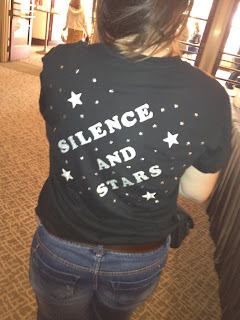 At the inaugural Passion and Prose event in Long Beach, CA, I got to meet Bonnie--and see her seriously cool and wonderful t-shirt! What the frex indeed!! The back is even more beautiful--my favorite phrase from A MILLION SUNS. Check out Bonnie's blog here! All in all, this was an amazing tour. I cannot express enough how grateful I am that Penguin sent me out again, giving me the chance to meet awesome people, hang with super-cool authors, and revel in bookstores across the nation. And after the tour of awesome? I got to go on a retreat of awesome. 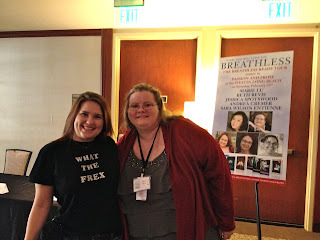 Who's the winner of all seven books on the Breathless Reads tour? Plus a signed poster? Plus a badge from the tour? Who's the winner who gets all this awesome? And meanwhile: I just got something awesome in my Twitter feed. 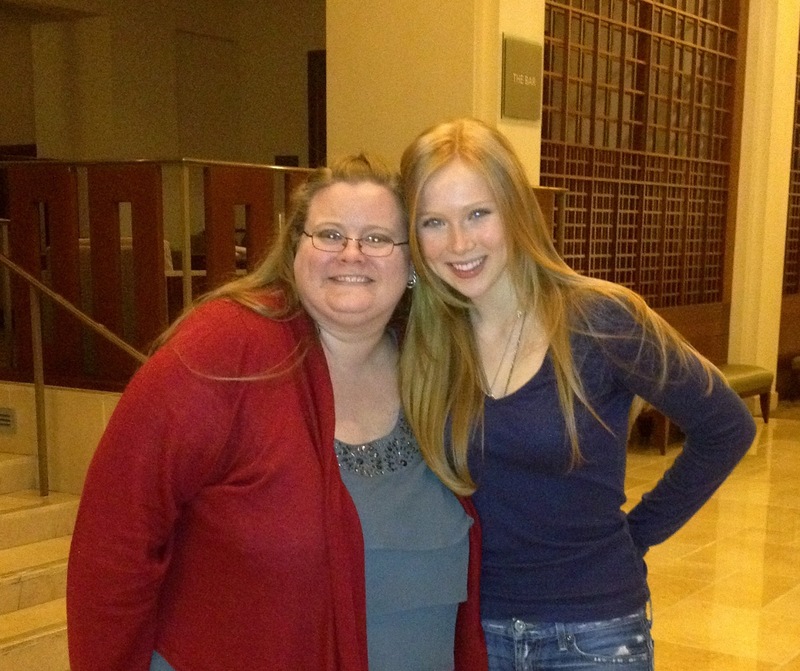 Emily, who is absolutely charming and wonderful, met me at my NYC tour stop. And then--guys! And then! SHE WROTE A SONG ABOUT ACROSS THE UNIVERSE. I KNOW RIGHT?! This is basically AWESOME SQUARED. I cannot even express how cool this is. Want proof? Check the song out here for yourself! Emily wrote and performed the song herself. And it's (very) appropriately named "Little Fish!"